Getting adequate and restful sleep is vital for the maintenance of overall health, as it helps to repair the body’s cells and tissues, to relieve the mind of daily stressors, to restore energy levels, to regulate hormones, and to boost the immune system. When the mind is unable to tune out occupying and stressful thoughts, this can result in an inability to remain asleep or the inability to fall asleep altogether – a condition that is commonly referred to as insomnia. A total lack of sleep or the absence of restfulness during sleep can have upsetting consequences on mental and physical states, sometimes leading to anxiety or depression in severe cases. Other symptoms of insomnia include a persistent feeling of being tired, sudden feelings of being overwhelmed by daily routines, and brain fatigue. Traditional sleep medication can cause side-effects such as feelings of sluggishness, but aromatherapy massage treatments that use essential oils with relaxing properties can be excellent natural alternatives to promote the onset of sleep. Throughout history, several popular essential oils have been known to address common causes for insomnia with their relaxing and sedative properties, which relieve stress and nervous tension, two factors that heighten sleeplessness. 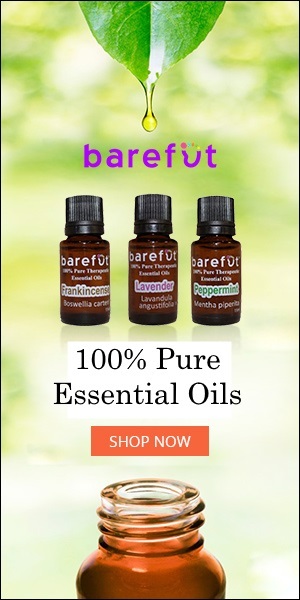 These essential oils include Lavender, Chamomile, Marjoram, Neroli, Sandalwood, Clary Sage, Rose, and Ylang Ylang. When some of these essential oils are combined in appropriate amounts to create synergistic blends according to personal scent preferences, their effectiveness is enhanced leading to improved sleep patterns and sleep quality. Once the underlying basis for the sleep issue is identified and addressed, it is easier to select essential oils that respond to the cause and work to assist in recovering from the issue. For example, if profound sadness is the cause for sleeplessness, uplifting citrus oils such as Bergamot or Sweet Orange will help to boost the mood and relax the body, thus reducing the intensity of the negative emotion and promoting the achievement of a restful state. Making aromatherapy massage part of a nightly bedtime routine with a partner can be helpful for preparing the mind and body to relax and for inducing sleep through a drug-free approach. The benefit of massage is that it positively influences the body’s chemistry in relation to sleep, as it increases serotonin levels. This chemical neurotransmitter maintains the sleep cycle, moods, appetite, digestion, memory, and libido. A deficiency of serotonin could thus lead to depression. Serotonin is required for the production of melatonin, which is the hormone that relaxes our bodies and encourages the feeling of drowsiness. Massage has, therefore, proven its usefulness in relieving stress and, by extension, sleep disorders. Dilute by adding the carrier oil. Store in a dark, clean, glass container out of sunlight when not in use. Lavender Essential Oil: This relaxing oil improves sleep by reducing feelings of anxiety and emotional distress as well as reducing pulse rates. It also works by promoting a sense of inner peace by diminishing irritability. Vetiver Essential Oil: The aroma of this warming, balancing oil has a grounding and sedative effect on the mind, which decreases obsessive, paranoid, phobic, and anger-induced tendencies. It is known for its ability to stimulate blood circulation and to alleviate aches, pains, and general physical exhaustion. By doing this, it reduces stress and pressure in body and mind. Frankincense Essential Oil: This oil also has a grounding scent and promotes easy breathing. It induces feelings of tranquility, contentment, and relief from the physical and mental efforts of the day, thus proving to have properties that combat depression and anxiety, which are common factors in sleeplessness. It is known to reduce heart rate and blood pressure and to allow the body to reach an ideal body temperature that is conducive to sleep. Orange Essential Oil: This oil positively influences the body by providing a sense of upliftment, peacefulness, and cheerfulness. Its ability to alleviate anxiety, anger, and depression makes it beneficial for relaxing muscles, which promotes restfulness, drowsiness, and thus increased sleep duration. Carrier Oil (Fractionated Coconut Oil recommended): This refined, clarified, and deodorized carrier oil is highly stable and moisturizing. It is odorless and leaves a hydrating moisture barrier on the skin without clogging pores. Pine Essential Oil: The refreshing aroma of this relaxing oil is known to calm the nerves by boosting positive emotions and enhancing alertness and concentration. Used in massage, it soothes muscles and joints, which promotes better sleep. Marjoram Essential Oil: This sedative oil promotes a sense of relief from nervous stress. By lowering blood pressure and easing the tension that comes with hyperactivity, loneliness, and grief, it eliminates several factors attributed to causing insomnia. Melissa Essential Oil: The sweet citrus scent of this oil provides a soothing feeling of relaxation, which aids in relieving anxiety. It leaves the skin feeling rejuvenated and the mind feeling fresh. Cinnamon Essential Oil: The warm, comforting aroma of this oil reduces the heavy feelings associated with negative emotions such as depression. It shows anti-inflammatory activities while helping to relax muscles and boost circulation. For external use only unless otherwise indicated. This information is not intended to diagnose, treat, cure, or prevent any disease, and it should not be used by anyone who is pregnant or under the care of a medical practitioner.